Believe it or not, but many PGA Tour caddies are avid golfers. They're not avid golf bag carriers in their free time. Many are accomplished players in their own right, having played collegiate golf or even mini-tour golf before becoming full-time loopers. And when they're not helping their players earn millions on the course, some high-profile caddies spend time at Billy Casper Golf facilities. 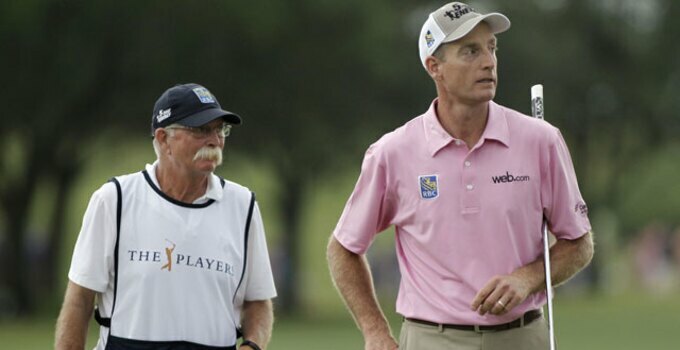 Mike "Fluff" Cowan, who caddies for Jim Furyk, loves to come to P.B. Dye Golf Club in suburban Maryland, just a half-hour outside of D.C., when he's in town for the Quicken Loans National or otherwise. Tiger Woods' caddie Joe LaCava is off until December, when Woods makes his return to competitive golf. He lives in Connecticut, and he plays Oxford Greens, whose greens are modeled after some of the most famous in the world. If you run into them on the course, just make sure not to ask them to carry your bag.